Water fluoridation has been hailed as one of the greatest achievements in public health of the 20th century, particularly in the fight against tooth decay and oral disease. However, an ever-growing body of research indicates that fluoride accumulates in the body and causes serious health issues. As scientists and health professionals increasingly warn Americans about the potentially toxic side effects of fluoride ingestion, one is left to wonder: Why is fluoride being added to our drinking water? Fluoridegate—An American Tragedy explores this looming question, citing original research findings from as early as the 1950s that describe the dangerous side effects of fluoride exposure. Produced and directed by former President of the International Academy of Oral Medicine and Toxicology (IAOMT), Dr. David Kennedy, Fluoridegate takes an uncensored look at the sordid history of water fluoridation programs and their true impact on public health. 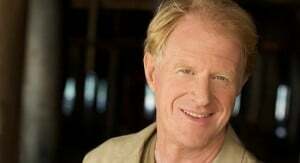 The fluoride-free dentistry movement has recently gained some star power, as actor and environmental advocate Ed Begley Jr. released a new Public Service Announcement (PSA), speaking out against the dated and potentially dangerous practice. The PSA was released in conjunction with the Fluoride Action Network, a leading advocacy group that aims to spread awareness for the toxicity of fluoride among citizens, scientists, and policymakers. Dental amalgam made headlines in early March when the Dr. Oz Show performed a demonstration that very clearly illustrated the toxic nature of the outdated silver fillings. Broadcasted on national television, the demonstration showed that silver fillings could leak odorless, extremely toxic mercury vapor when brushed by a normal toothbrush. 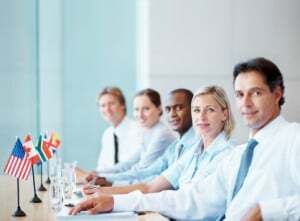 The International Academy of Oral Medicine and Toxicology (IAOMT) and holistic dentistry professionals are celebrating a new victory in the fight against toxic fillings, however. This year, more than 140 nations have signed into effect an international mercury treaty that lays the groundwork for an eventual “phasing out” of this dangerous material.